One week in to the three-week campaign for the One Way Kickstarter. And 1/3 of the way there. Whoot! Right on track. Buy your advanced copy today! This weekend I dew, wrote, and painted. I saw live music at the local cafe, had brunch with a friend, and snuggled with kitties. What more could a poor boy ask for? Speaking of kitties! 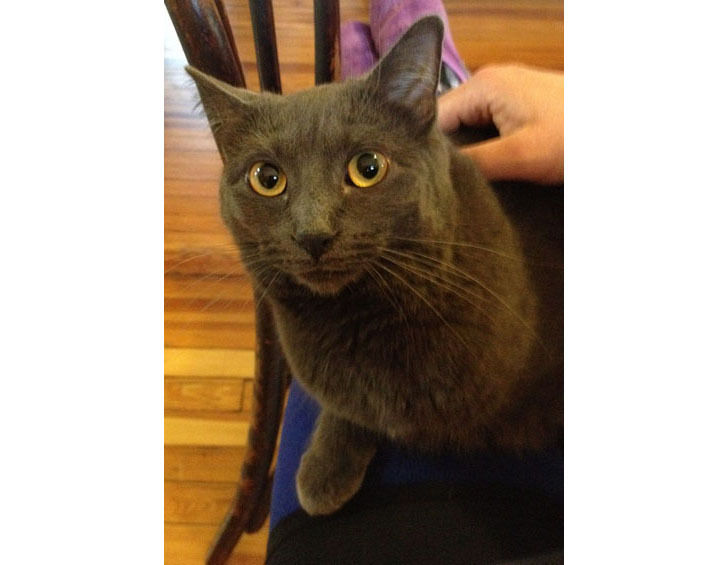 Babette is still looking for a home. Anyone in the NE poking for an extremely playful sweet 1.5 year old with all her shots and is spayed? And for last, Beautiful cat! I hope it finds a home soon. Dude, this is hilarious. 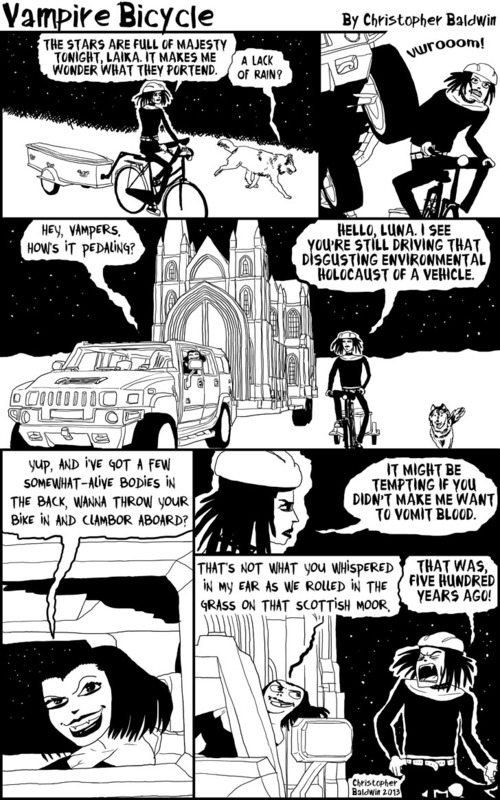 No kidding, the whole idea of a vampire’s ‘motor home’ being some giant hunk of gothic cathedral…this is *wonderful*! Vampires have the loooong view on things. So they would have some concerns. But like humans they are also individual.